Following the Batman vs. Superman info dump that came out of Comic-Con, we thought it might be a while before we saw or heard anything from the upcoming superhero movie. After all, we did get an extended new trailer, new images and a new poster. But today, we have three new Batman vs. Superman pics each showing off one of the film’s three main characters: Batman, Superman and Lex Luthor. Though these photos are short on action (no superheroes punching each other), we do get a new look at Batman’s armored costume, plus some other details from the film. 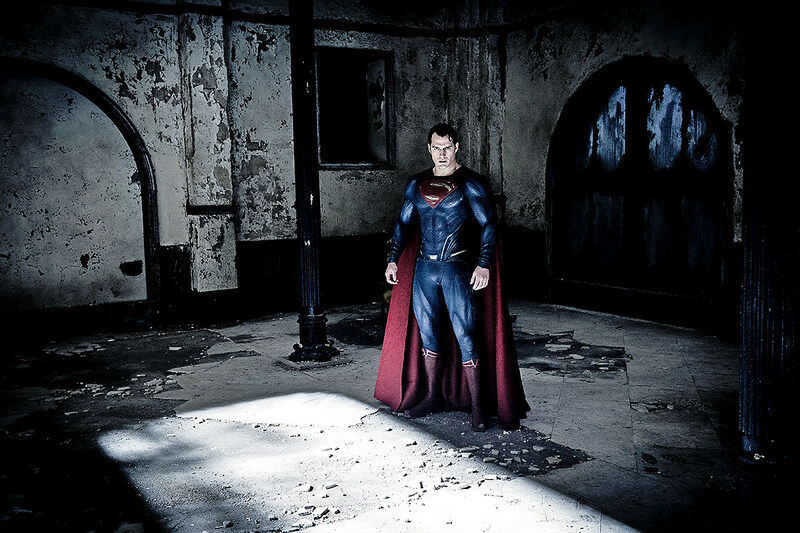 Superman appears like he’s standing inside of Wayne Manor, which was described in an Entertainment Weekly profile as “a desolate husk, overtaken by weeds and water-stains after years of neglect.” That certainly matches the environment Supes is standing in. 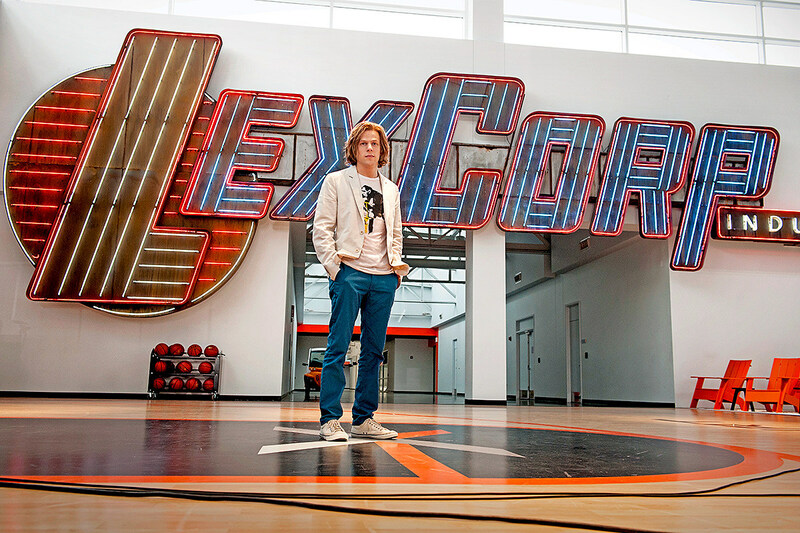 Then there’s Lex Luthor. We had heard rumors that Eisenberg’s version of the classic villain would be more Mark Zuckerberg than Gene Hackman or Kevin Spacey, and at least from this new shot we can get that. The hipster outfit, the giant sign, the basketball court and beach chairs. Yes, he still has the hair, but we know that’s going to change. 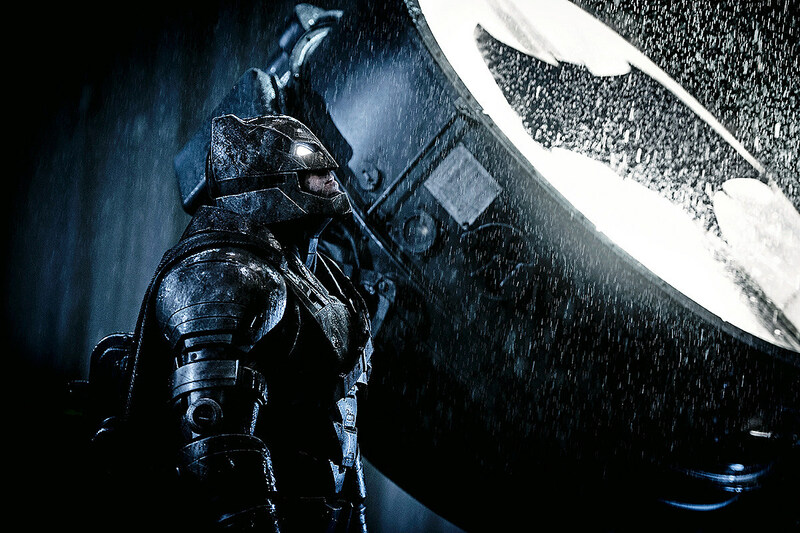 Batman vs. Superman opens on March 26, 2016.